The music: Tawan Daeng has an outstanding group of in-house musicians, dancers, and singers, who play morlam, morlam sing, and a bit of lukthung. Guest performers appear quite regularly, and include Jintara Poonlarb, who I caught there one night. 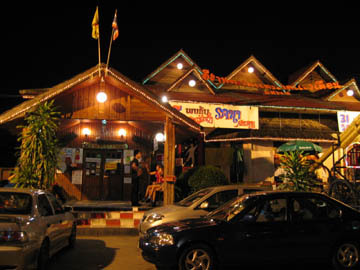 The ambiance: Food is available, and beer is served Isaan style, over ice. When you order a beer, it will be accompanied by a bucket of ice. Your friendly server will pour your beer, and will attentively add ice constantly to keep your beer cold and refreshing. 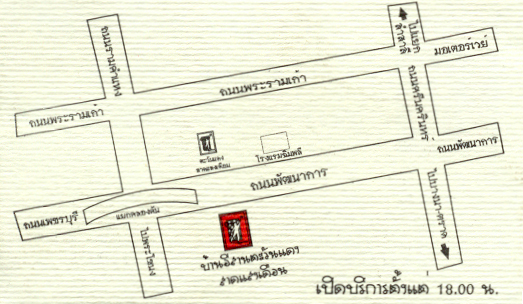 It's delightful, so do it their way, and keep your experience Isaan! Special note for men: when you go to the men's room, expect to get a neck and back massage by the attendant while you're standing at the urinal, peeing! This is hospitality, not a pickup. Afterward, you'll get a warm towel for cleanup. I usually tip a few baht to show the good manner. The crowd: Of the 300 or so people on any given night, a few will be farang, but most will be Isaan. 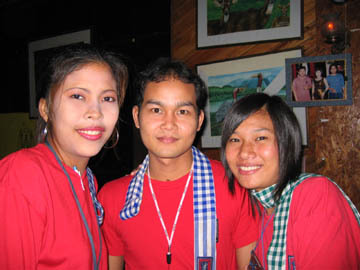 There are gay Isaan people (and ladyboys) there too, and there is no discrimination, everyone is welcome. 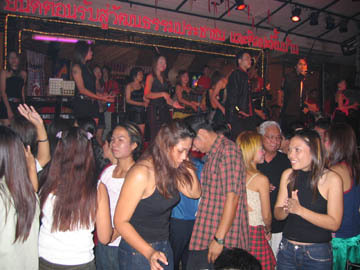 Enthusiastic Isaan people will encourage you to get up and dance, Isaan style, but will not be offended if you say no.